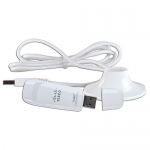 Cisco Valet AM10 300Mbps Wireless-N USB 2.0 Adapter w/Extension Cable: GamesNY - Games, Electronics, PC parts and more! 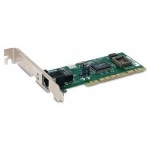 This Cisco Valet AM10 802.11n USB 2.0 wireless adapter provides a simple and easy way to connect your desktop or laptop computer to a wireless network. The AM10 supports IEEE 802.11b/g/n standards and features WEP, WPA and WPA security with 128-bit encryption so you can connect to nearly any secure network! The AM10's dual antennas provide clear reception and fidelity of wireless signals and can provide up to 300 Mbps data transfer rates. 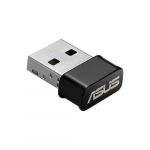 The necessary drivers are included on the adapter, just plug it into your compatible Windows machine for self-installation. 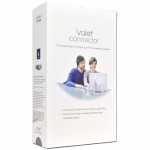 It's also a perfect complement to a Cisco Valet AM10 router! 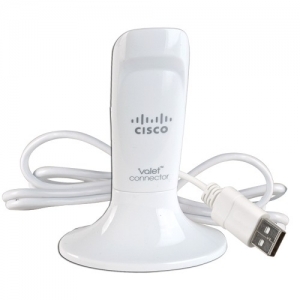 Plus, the Cisco Valet AM10 802.11n Wireless LAN USB 2.0 Adapter includes a USB extension base for easy installation and removal. Order now!